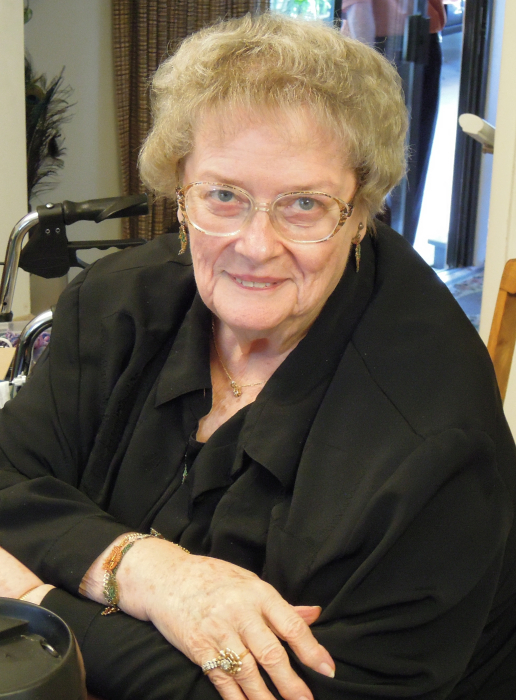 It is with great sadness that the family of Helna Josephine “Josie” Davis announces her peaceful passing on the morning off March 15, 2019 at the Park Manor Assisted Living Center in Bee Cave, Texas. Josie is survived by her son, Scott and her daughter, Elizabeth and her wife Lisa, along with numerous extended family members. Josie was predeceased in 2018 by husband, Ed Davis, after having been happily married for 60 years. Josie was born in Lockhart, Texas on August 30, 1937 and grew up there, where her parents, Tillotson and Helna Field owned and operated the local funeral home. Josie was a graduate of Lockhart High School and Nixon-Clay College. Josie and Ed met in high school married on September 7, 1957. They lived in Lockhart until moving to Austin for Ed to attend the University of Texas. After Ed graduated, he worked his entire career at the Texas Highway Department and Josie worked in her early years at the Internal Revenue Service, until she became a full-time homemaker and mother to Scott and Elizabeth. In addition, she volunteered at the Food Bank Austin and was very involved in being a band parent at Crockett High School. Josie was well known for her award-winning stitchery and beading works of art and was a member of the Austin Stitchery Guild. She was an avid bridge player and loved her craft days with the Highway Ladies. Josie and Ed had a wide and diverse circle of friends and those friendships spanned decades. They hosted a large and much-anticipated New Year Day party continuously for over 40 years. Much of Josie and Ed’s lives revolved around lake living. Josie was the consummate fisherwoman. Spending time at their lake cabin with a line in the water or on their boat was always something Josie and Ed cherished. Josie’s family would like to thank the staff of the Elmcroft Assisted Living Center for the love and care they provided her in her final year. Josie greatly appreciated the new friends she made during her stay. The family would also like to thank the staff and nurses of Hospice Austin for their compassionate care and support during both Ed and Josie’s final days. Finally, Josie’s family would like to thank the special members of the Park Manor staff who helped her on the final leg of her journey. A celebration of Josie’s life will be held at Eeds Funeral Home, 408 South Main Street, Lockhart, Texas on Saturday, April 13, 2019 at 1:00 pm. In lieu of flowers, contributions can be made in Josie’s name to Hospice Austin.